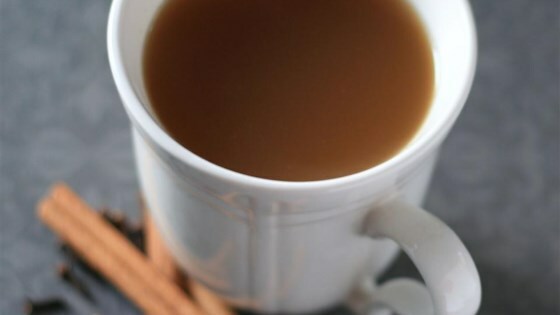 "Nothing beats a mug of hot cider on a cold winter day. This recipe is great as it calls for fresh apple cider and pure maple syrup. Start with only 6 strips each of the orange and lemon peel, and adjust to taste." Instead of going through all the trouble to buy cinnamon sticks, I used: 1 tsp. Cinnamon, 1/4 tsp. nutmeg, 1/4 tsp. cloves and put that in a bot and stirred until it was hot. I put the spices and fruit peels in the ground tray of my coffee urn and brewed it that way. Worked great and was a big hit at my party.